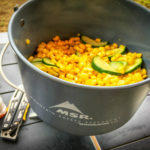 When I plan a camping trip, I like to be prepared and have the confidence that my gear won’t fail me or those depending on it, especially when it comes to cooking food. I have been the victim of failed meals due to technical malfunctions, unexpected fuel shortages and simple forgetfulness (I thought you brought the lighter!). The MSR WindBurner Series slogan “One system to rule them all” not only sounds superhero-esque, but its versatility and features nudge it a step above some other options on the market. 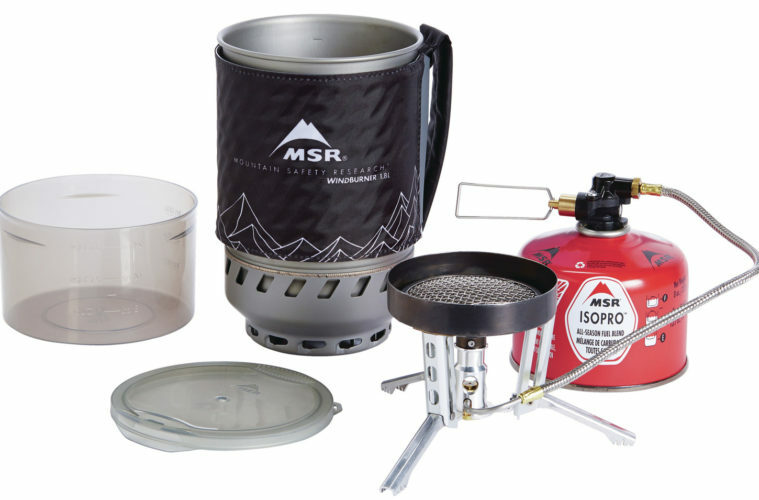 The MSR WindBurner System features a range of options for the solo traveler to larger groups. 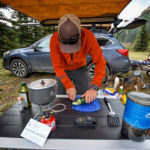 While I used the Personal Pot for hot tea on long drives, my husband and I used the the Duo Pot for camp coffee, and the included 2.5L Sauce Pot was perfect when cooking for family and friends. After several uses, we came to appreciate the solid design, versatility and efficiency of the whole system. Pros: My weekends can range from solo ramblings to full family outings, so adaptability is the name of the game. The mix-and-match nature of this system is perfect for those looking for a one-stop shop. 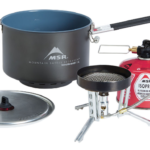 Since this was our primary stove to feed a group of three-plus people, the Group Stove System was a great starting point. By adding the Personal and Duo Pots, we had adaptability for solo excursions or couples retreats. This stove is also fast! It lights fast, temperatures rise fast, food cooks fast and water boils fast. Thanks to the nesting design of each of the pots when they rest on the stove itself, the heat source is protected, making the system virtually windproof. Using the canister fuel also helped keep the weight down and maintain efficient burn time. It is also a breeze to clean, thanks to the ceramic coating on the hard-anodized aluminum pots. While we ate some freeze-dried meals, we also made more complex meals like sausage with mixed veggies and bacon and veggie breakfast burritos. Whatever the meal, the pots cleaned up easily. Cons: While weight, size, functionality and performance were great, the only real “con” I could find was that it’s a one-burner system. So, while freeze-dried and one-pot casserole dishes are easy options, more complex meals, like potato, bacon and egg burritos, take more time and planning. Where we took it: Solo day trips between Denver and Southern Colorado, a bikepacking trip in Southern Colorado, on camping trips along the Rio Grande River and to high country lakes on the Rio Grande National Forest.